Response held the Orchestra London account for many years as agency of record. 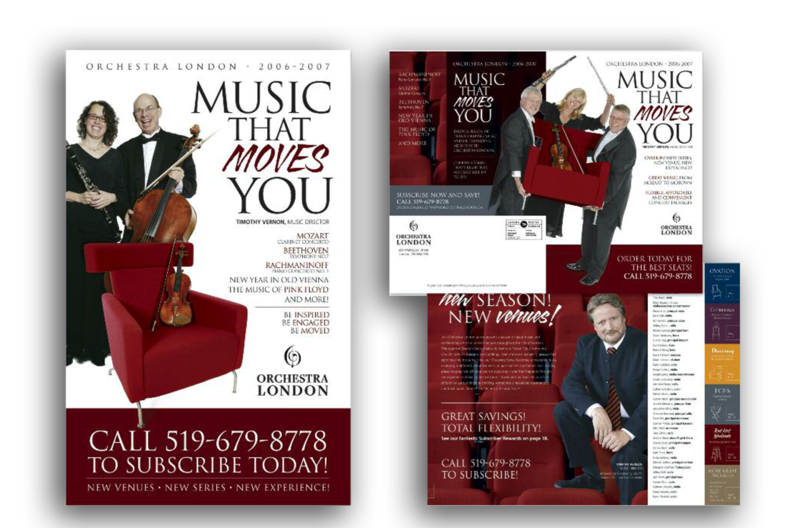 We became intimately involved in growing subscribers, increasing donations and corporate sponsorships, branding the Orchestra and its many entertainment offerings, and developing annual creative themes that sustained and increased attendance across the full orchestra programming. Here the website provided vital subscription details online, saving costly printing of view books which historically we circulated in March each year to stimulate re-subscription. 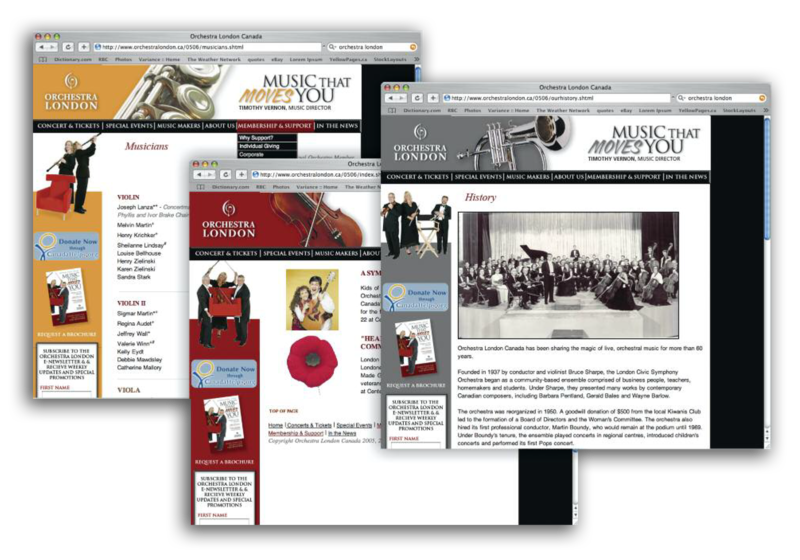 View books were still produced but on a smaller scale lowering cost per order significantly for Orchestra London.